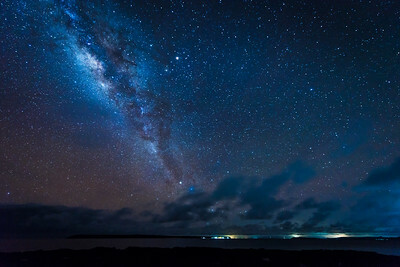 Milky Way above Guyam island. 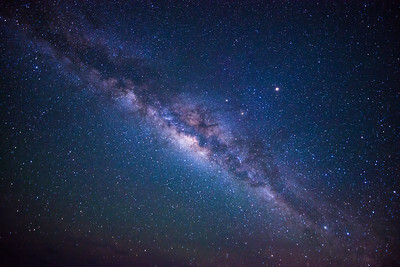 Panorama image of the Milky Way. 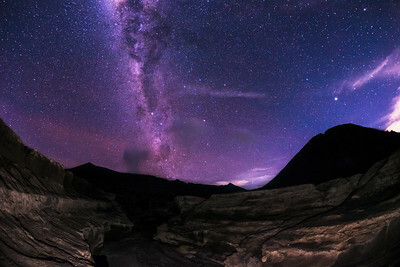 It's quite tricky to shoot a good panorama in the dark without having a panoramic tripod head. The camera shows if you have it straight or not, but it's far from perfect, sometimes it's still very slanted. And if they're too slanted, you'll have a hard time stitching all of it. 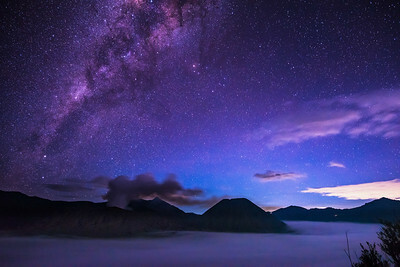 Milky Way above Guyam island. 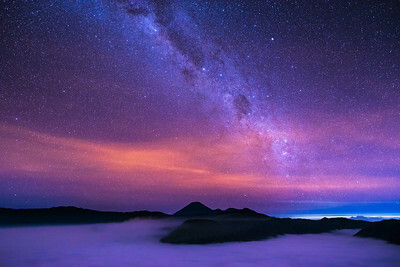 I've been to Guyam a few times to shoot the Milky when moonlight was minimal, spending the night there, shooting from sunset to sunrise. Each time I've been shooting this exact same shot, trying to improve it. I always thought it was a pity the trees were so completely dark. 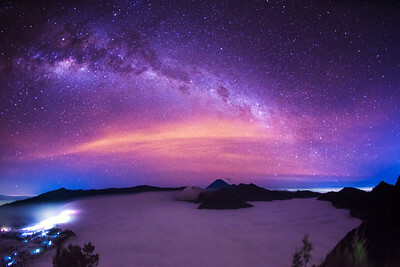 I tried lighting up the island here with my flashlight, combining several photos get the right effect. I could have used different exposures before, but I've always been time lapsing the whole thing, so I couldn't. 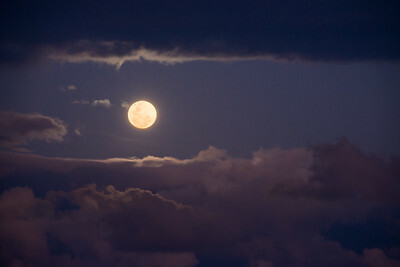 This time I offered my time lapse to get the better shot and get some photos instead time lapses. 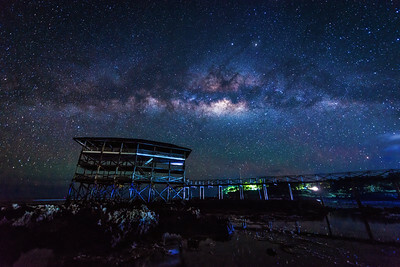 Milky Way above the Cloud 9 boardwalk in Siargao, Philippines. 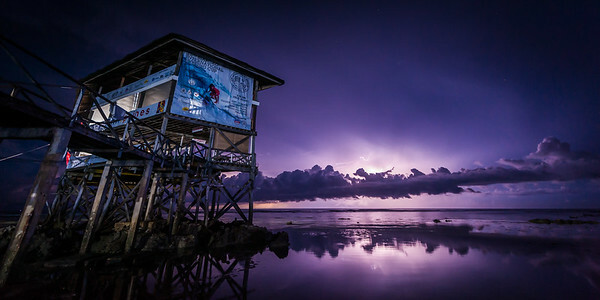 Siargao is the country's surfing capital, Cloud 9 is the famous icon, this is where the big waves and surfing competitions are held. 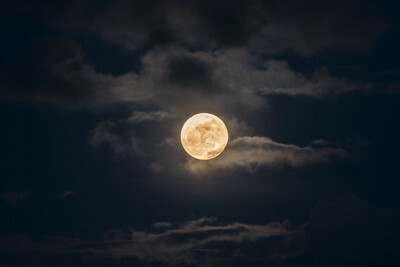 So busy during the day, so quiet during the night, except for the occassional local or tourist that comes to have a look at night. I've spend a lot of hours here at night, sitting on my sarong, listening to music, drinking Tanduay Ice or whatever, munching on candies, enjoying the view, hoping the weather stays nice, waiting and waiting for the time lapse to finish and finally go to bed. 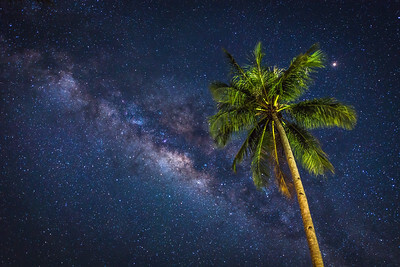 The Milky Way shot at the Dedon Island resort in Siargao, Philippines. 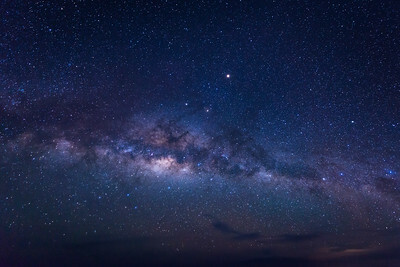 I shot this image during one of my time lapses at the resort. 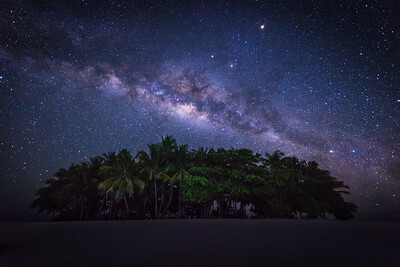 After a few of my Milky Way time lapses went viral on Facebook, I went to Dedon and offered them to create a full movie of the resort, shooting sunset to sunrise and the Milky Way using their resort and fantastic furniture as a foreground. Look for my Dedon time lapse movie to see the stunning result. 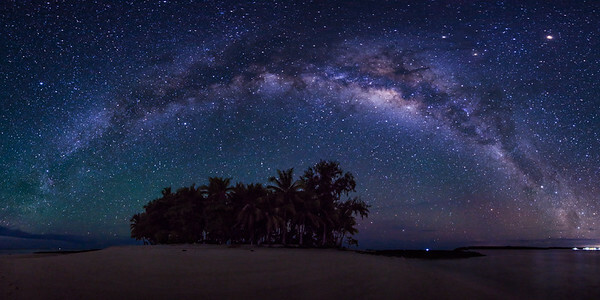 Milky way above Daku island, seen from Guyan island, Siargao, Philippines. 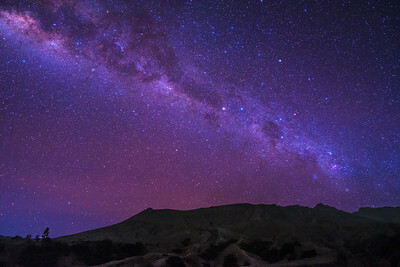 An excellent place to view the milky way. 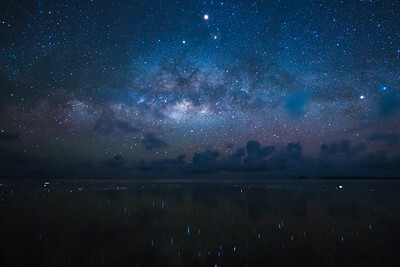 Looking at this island from my resort at Siargao, I knew this was the place to visit at night and shoot the milky way. The island is deserted, but owned by someone. 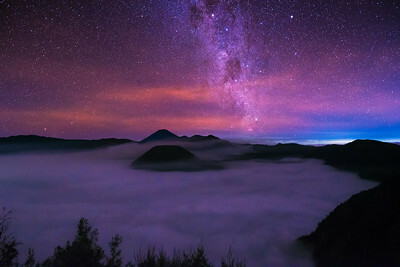 With permission and for a small fee one is allowed to spend the night here. 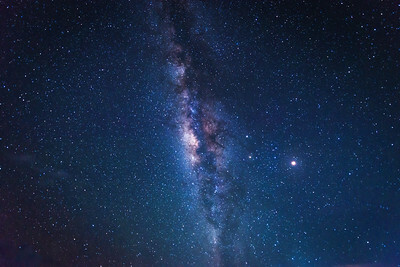 There's nothing better, forget your tent, just stay up all night watching the milky way, drinking beers and nightswimming till morning. 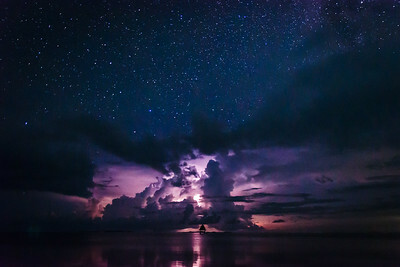 Lightning storm seen from Guyam island, Siargao, Philippines. 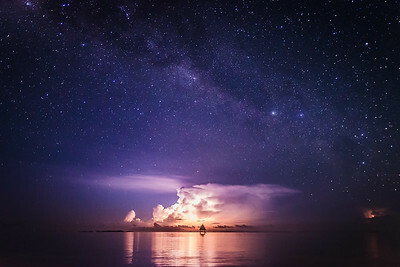 During this night at Guyam island; where I was shooting the Milky Way; there were nearly 15 lightning storms going on throughout the whole night; all around me. Some were too far to get any good shots; I could see flashes only; but it was here that got some good time lapse footage of a few. 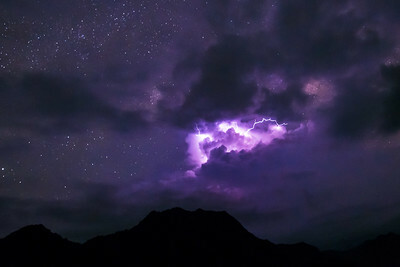 At a certain moment there were 5 lightning storms; man I wished I a bunch more camera's with me at the time.. 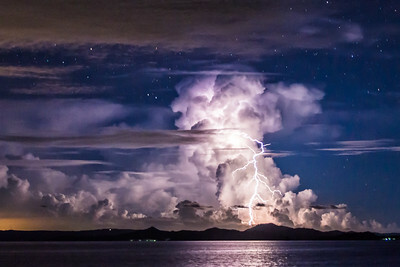 Lightning storm shot at the pier of General Luna, you can see Daku island at the bottom left. 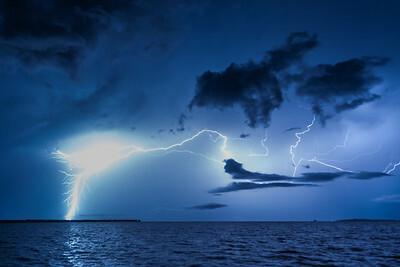 There wasn't much action in this storm, I was a bit late as well, couldn't capture a full time lapse scene, but managed to get a few nice shot. 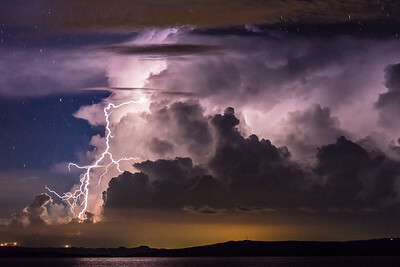 The lightning was quite different this night, more horizontal, covering the sky. 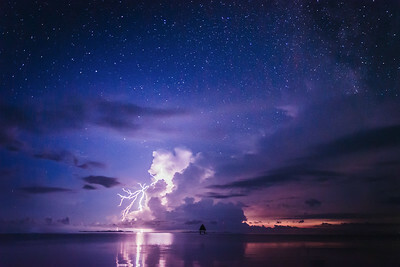 Lightning storm above the water at Siargao, Philippines. 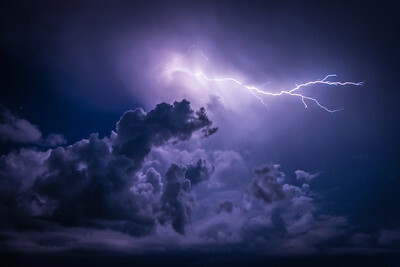 Living in the Netherlands we don't get a lot of lightning storms. 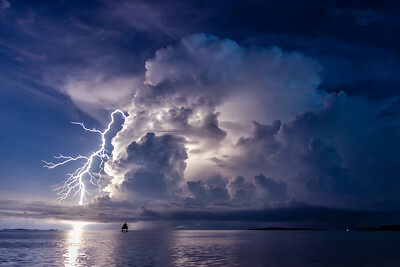 I've been trying to capture lightning for many years, but chances are rare and most turn out a disappointment. Either you're at the wrong location, end up in a massive rainwshower, nothing happens at all etc. It is one of the hardest things to shoot and most times I return without any good shots. But once you get them, it's even more rewarden. 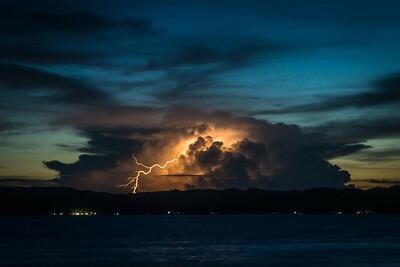 Here in Siargao there's a lot of lightning storms, although good ones (with nice bolts) are pretty hard to capture as well. But here I captured a few! 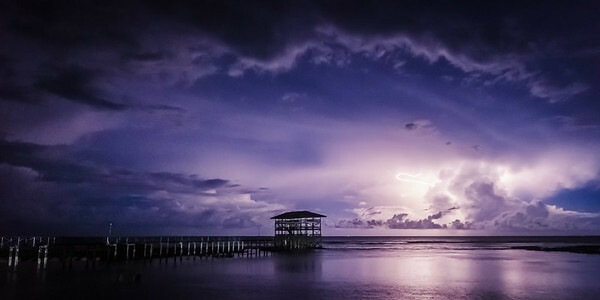 Lightning Storm at the Boardwalk, Siargao, Philippines.